Mirpuri Foundation, as the Volvo Ocean Race Sustainability Principal partner, is pleased to share that around half a million single-use plastic bottles will be avoided during the Cape Town stopover, thanks to an innovative new water purification solution which turns polluted and waste water into clean drinking water. The technology, from Bluewater, has been provided in partnership with the Race’s Founding Sustainability Partner, 11th Hour Racing, and with the support of the Cape Town City authorities, Host City delivery partner Worldsport and the V&A Waterfront, and will generate 32,000 litres of drinking water daily.The Cape Town stopover is the 11th time that the Volvo Ocean Race has visited the South African city in the event’s 44-year history – but with the city’s water reserves currently low due to ongoing drought conditions, the 2017-18 stopover brought added challenges. Volvo Ocean Race’s Sustainability Programme Manager Meegan Jones said: “These innovative water refill points in our Cape Town Race Village take our sustainable event management to new heights. 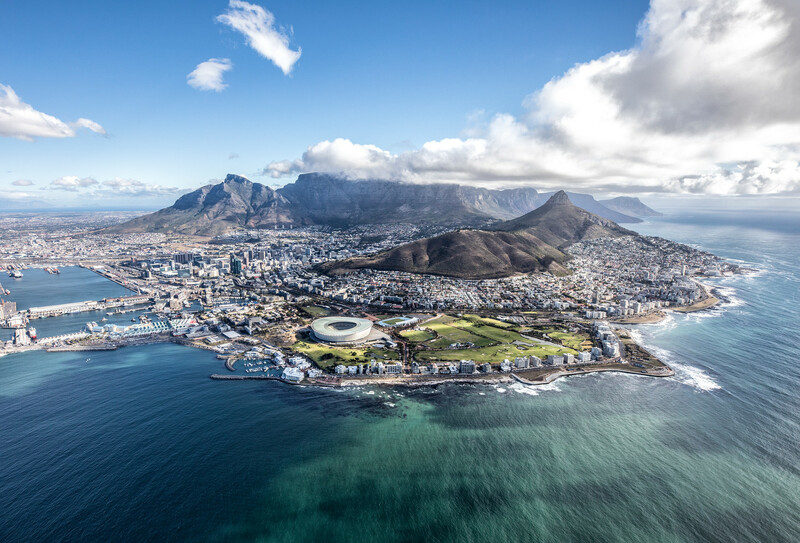 “We have a commitment to drastically reduce single-use plastics at all our stopovers, and the Bluewater refill points means we won’t impact the City of Cape Town water reserves while still meeting our plastic reduction goals. She continued: “In addition, we are running a hugely-successful plastic bottle exchange in partnership with Consol Glass, which allows Volvo Ocean Race Village visitors to swap a single-use plastic bottle for a stylish refillable glass bottle. 11th Hour Racing, an organization promoting collaborative, systemic change for the health of the marine environment, is a founding partner of the Race’s Sustainability Programme. Bluewater, a partner of 2017-18 racing team Vestas 11th Hour Racing, was founded by environmental entrepreneur Bengt Rittri, who also founded leading air purification company Blueair, which was acquired by Unilever in 2016.